Go2Gym is free to use. Let's join our community. I am at lest 16 years old. FITBOOK, s.r.o., headquarters: Dunajská 8, Bratislava – district of Staré Mesto 811 08, Business ID No. 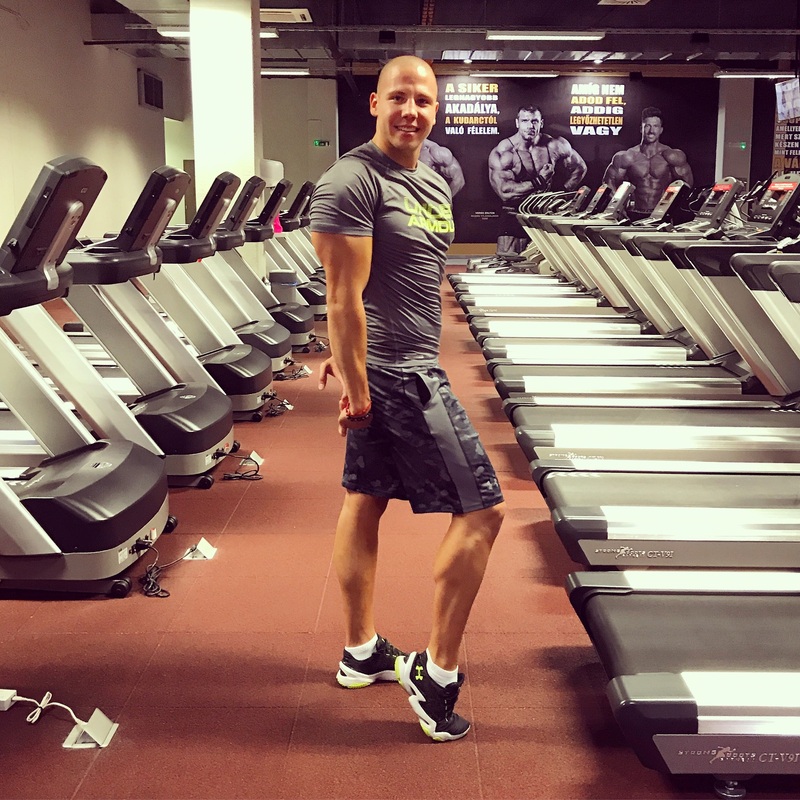 : 47 999 390, registered in the Commercial Register maintained by the District Court in Bratislava I, section Sro, file number: 108482/B, represented by Dominik Győri - manager, contact details: email go2gym@go2gym.today (hereinafter referred to as the "Operator") informs the person concerned regarding the fulfilment of information obligations pursuant to Article 13 of the European Parliament Regulation and Council Regulation (EU) 2016/679 dated 27 April 2016 on the protection of individuals with regard to personal data processing and on the free movement of such data, repealing Directive 95/46/EC (hereinafter referred to as "the Regulation") and Article 19 of Act 18/2018 Coll. on the Personal Data Protection (also referred to as the "PDP Act") by deleting the information below. The person concerned is within the meaning of § 19 Article 2 letter e) of the PDP Act obliged to provide personal data for the purpose mentioned below, otherwise it is not possible to conclude an agreement which the person concerned is interested in. The operator hereby notifies the client as the data subject to process the personal data without the consent of the data subject in the process personal data processing as personal data processing will be performed by the pre-contractual relationships and personal data processing is necessary for the conclusion of the agreement, obliged to provide the personal data of the person concerned to the state institutions. sending notices, news and more. § 13 par. 1 letter f) of the Personal Data Protection Act: personal data processing is necessary for the purpose of the Operator’s or a third party’s legitimate interests, except in cases where the interests or rights of the data subject require personal data protection as well as marketing communication from customers, and also to provide benefits (in the case of a contractual relationship) within the meaning of Article 6 par. 1 letter f) of the GDPR Regulation. In line with the principle of proportionality, the Operator concludes to inform customers through notifications of new and service innovations or to keep marketing communication with them (in the service segment of which the client has shown interest) and overrides the interest in protecting the privacy of the person concerned, namely processing the email address of the person concerned. In order to process the email address, the Operator has taken appropriate technical and organisational measures to protect them. The Operator declares that personal data will be processed in accordance with good morals and will act in a way that does not conflict with the PDP Act and the Regulation. § 13 par. 1 letter a) of the Personal Data Protection Act: the person concerned has consented to their personal data being processed for at least one specific purpose. The affected person publish the photos themselves on the Operator's website. Given that the persons concerned publish the photographs themselves, such proceedings may be regarded as a statement of consent within the meaning of Article 13 par. 1 letter a). Personal data retention period: specific time - a time determined by the laws for the exercise of the rights and obligations arising from the concluded agreement, if the rights and obligations cannot be exercised within the limitation period stipulated by the law; longer personal data processing is possible solely for the purpose of archiving, for the scientific purpose, for the purpose of historical research or for statistical purposes under a special regulation. As a person concerned, you have the right to provide us with a list of personal data that we have at our disposal as well as information about how we process your personal data. We have taken action to preserve your accurate, complete and up-to-date personal information. If you believe that your personal information we hold is not accurate, complete and up-to-date, please let us know. As a person concerned, you may also ask us to delete your personal data if the reasons stated above are met, for example, if the purpose of processing has already ended. As a person concerned, you may be required to comply with the legal requirements to discontinue using your personal data, e.g. in situations when you think that the personal data that we hold is inaccurate etc. As a person concerned, you have the right to object to the processing of your data, if you believe that we have no legal reason to process your personal data; e.g. if our legitimate interests in personal data processing do not outweigh the rights or interests of the person concerned. As a person concerned, in certain circumstances, you have the right to ask us to transfer the personal data you have provided to us. However, the right of portability applies only to personal data you have provided to us under your consent or under a contract of which you are one of the parties. As a person concerned, you have the right to withdraw your consent at any time in cases where we process your personal data based on your consent. As a person concerned, you have the right to submit your proposal or complaint to the Office for Personal Data Protection of the Slovak Republic, https://dataprotection.gov.sk , Hraničná 12, 820 07 Bratislava 27; telephone No. : +421 /2/ 3231 3214; E-mail: statny.dozor@pdp.gov.sk. The person concerned may request the exercise of the above rights at any time by emailing go2gym@go2gym.today or in writing to the post office address of the operator. An Operator shall process the data subject’s request in respect of the aforementioned rights within the statutory time limits. For the purpose of sending notifications, news, etc., the operator processes an email address through a company in a third country that has a European Commission decision on the adequacy of the level of personal data protection. The rights of the person concerned are not compromised by transmission of The Rocket Science Group, LLC email address to a third country. I agree to the processing of personal data within the scope of safety documentation Protection of personal data . Imagine a fitness center that you can visit anytime, anywhere and for affordable prices that suits you. Imagine a place where you can find everything you need - some of the best personal trainers, a ton of motivation, new friends. Let us introduce you to new fitness social network. Go2Gym is here! During my stay in Los Angeles, I asked friends why they don't visit gyms anymore when having paid for their memberships. The answer was simple - they didn't know how to train properly and eat in accordance to their needs to achieve the dream physique. Not everyone can afford a personal trainer or an advice from an expert. Then Dominik came up with the idea of creating a place where people would have an access to information about exercise and reaching a healthier lifestyle for affordable price. User is a person who signs up to the network with the aim to find a good personal trainer, learn a healthier lifestyle, meet friends and share various posts and photos. Personal trainer is a person who offers their services, promotes their business, gives an advice, writes articles and creates training plans. Gyms can build a community of their clients, promote their services, achieve new customers and build a strong brand. Shops can upload supplements and sporting goods through their profile for the whole world to see. It should be products from the sphere of healthy lifestyle, exercise and workout. Clubs can be represented here by magazines from the field of workout or healthy lifestyle. Travelling doesn’t have to discourage you from practicing and maintaining a healthy lifestyle. Choose a gym in your current local area, train and workout, buy or sell fitness products and move forward with us. You no longer have to pay huge amounts of money for expensive websites and marketing communication. This network is managed by SEO principles (Search Engine Optimization), so it is easy for your potential clients to find you. The Go2Gym network is customizable for all modern devices from phones and tablets to computers. It is also compatible with the most popular internet browsers.